This Is heaven. It’s sooo……….good that its bad (you know what i mean?). Anyway it is everything what comfort food should be its boozy,creamy and luscious. 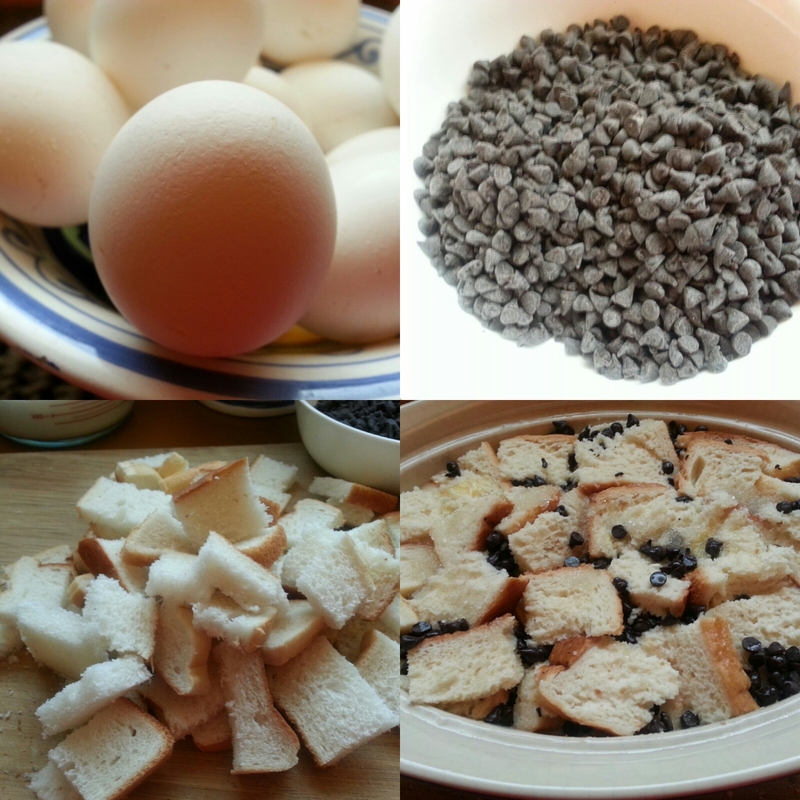 The chocolate chips,rum and cream turn this simple bread pudding into a party treat. 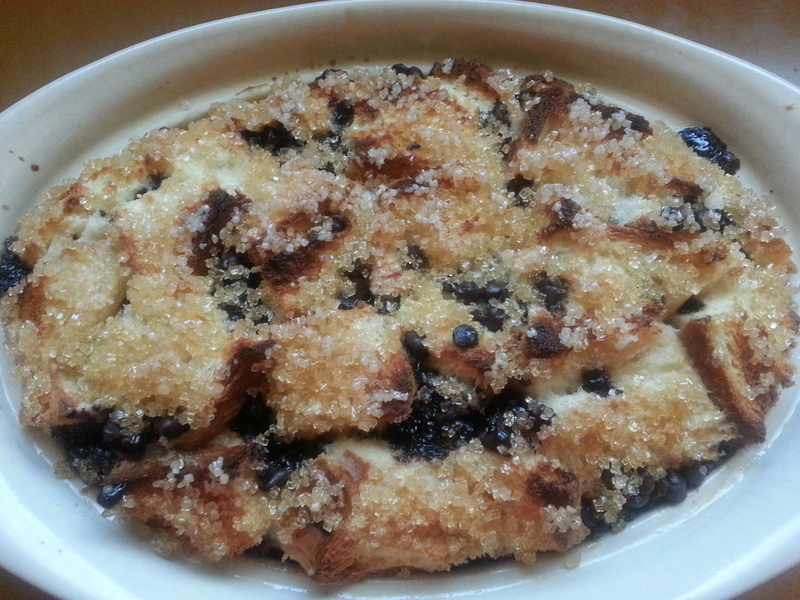 There are no versions of bread pudding that my younger daughter does not like but this…….this is her favourite.She can just polish off the whole thing single handedly, and so she begged me to make it for her today and was ready to do anything for it……..aaaah!!!!! 🙂 This happens so seldom when she is ready to listen to me so i jumped at the idea and the result is in front of you . Whisk together the eggs,light brown sugar,rum,double cream and milk. Pour this mixture over your bread and press the cubes down so that they drench in the liquid. Leave the pudding out for 20 minutes so that it soaks up the mixture nicely,then sprinkle with demerara sugar(if you don’t have demerara sugar just sprinkle soft brown sugar) and put straight into the oven for 40-50 minutes. Let the pudding stand for a while before you dig in. Thanks priti . Now come over one of these days so we can have it together. I love bread pudding. this looks amazing with the chocolate chips!